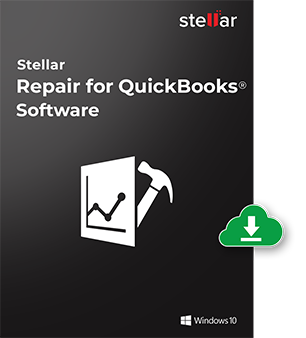 Stellar Repair for QuickBooks Software is the most advanced tool to repair severely damaged and corrupt QuickBooks® data files and recover QBW file components. 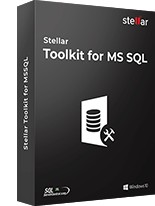 *Free download allows to preview the recoverable data. I am an accountant, so I’ve no idea about programming and coding. When I heard about this software, then I thought it requires the IT knowledge to fix the corruption. I just follow few instructions and repair my file. This software was able to repair and fix my corrupt .qbw file. After saving, I could see 100% of the items, invoices, received payments and purchase orders in the repaired file. The best part is the instant delivery through Email. As an Accounts Professional, I was quite apprehensive in sharing my data. Then I used QuickBooks Repair Tool, and mend my Company File in no time. I did not have to share my confidential Accounting data with anyone. The file repair for QuickBooks® software recovers all data from QBW files of multiple country editions such as QuickBooks® UK, USA, Australia, Canada, New Zealand, Germany, and South Africa. This software repairs selected QBW file and provides a preview of all recoverable items before actually starting the repair process and saving the data. It generates the preview of Employee, Customer, Vendor, and Company data. Stellar Recovery for QuickBooks® Software allows you to select the QBW file from any location on your system. This helps in simplifying the repair process of QuickBooks® data files that are corrupt or damaged. The software has a ‘Search’ function through which you can search the QBW file of QuickBooks® software on your system. It is a useful feature in case you do not know the exact location of the QBW file. The software efficiently removes all errors that appear while opening the QuickBooks® data files, and recovers all the lost or inaccessible data related to the accounts of your company. With this software, you can access all the valuable data stored in the QBW file. With intuitive interface and file repair features, the software lowers the efforts needed to recover QuickBooks® data. Its user-friendly interface with simple, on-screen instructions facilitates hassle free recovery of QuickBooks® file. 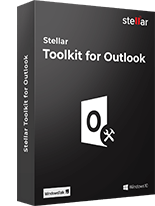 The software offers an Update Wizard that allows you to check all the latest updates released for the tool and help you in applying those updates. With this feature, you can easily get notifications of new version updates and keep your software updated for repair of QuickBooks® files and recovery of all its data components. The QuickBooks® repair software generates log report that contains detailed information of each and every step performed during the repair of QBW files. You can use it in future to analyze the complete recovery of the data related to accounting software. Before you start repairing QuickBooks® file with the QBW repair software, you need to create a blank QBW file to store all the recovered data of the QuickBooks® software. If you do not create the QBW file initially, a notification message recommending you to do so, will pop up. The software supports QuickBooks® 2019, 2018, 2017, 2016, 2015, 2014, 2013, 2012, 2011, 2010, 2009, 2008 and 2007 editions. 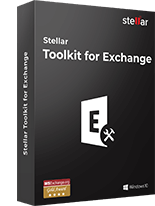 It is compatible with multiple Windows OS versions such as Windows 10, Windows 8, Windows 7, Windows Vista, and Windows XP. How to confirm that my QBW file will be recovered by the Software or not? First you should download the demo version of the software. If it displays the preview of the QuickBooks® file data, it means that the software is capable enough to repair your corrupt file. To save the recovered file, you have to activate the Full version of the software. Does the software make any changes in original QBW file? No. The Software does not make any changes in original corrupted QBW file. Does the software support all Country Editions? Can I recover only Company Information with the help of this software? 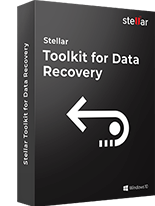 Stellar Recovery for QuickBooks® does not recover your company information separately but the entire contents of your QuickBooks® file. The tool can't be configured to recover the specific pieces of information independently. It efficiently recovers the overall data in your corrupt or damaged QuickBooks® file. Why does the software show a dialog after the completion of scanning? When the software finishes the scan, it displays a dialog listing the necessary steps to be performed for making the repair. You need to create a new QuickBooks® data file for saving all the recovered data. After creating the file, you must specify the QuickBooks® version and path of the new file in the displayed dialog box. Once you are done, you can start the repair process and save all the recovered data to this newly created file. The Company file shows Error -6150, 0. Can the software resolve this error and repair the company file? This error is indicative of a possible corruption in the company file. Stellar Recovery for QuickBooks® can easily fix this type of corruption in your company file. I am unable to read and write transactions. Can the software resolve this issue? Your QuickBooks® database will exhibit erratic behavior once it gets corrupt. Sometimes, corruption occurs in transactions and lists. 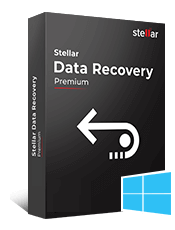 Stellar Recovery for QuickBooks® is capable of dealing with damaged transactions and then, recovers them intact to a target company file created in the same version of QuickBooks®. This message comes when you have not targeted qbw file in the QuickBooks® application. So first check that qbw file.